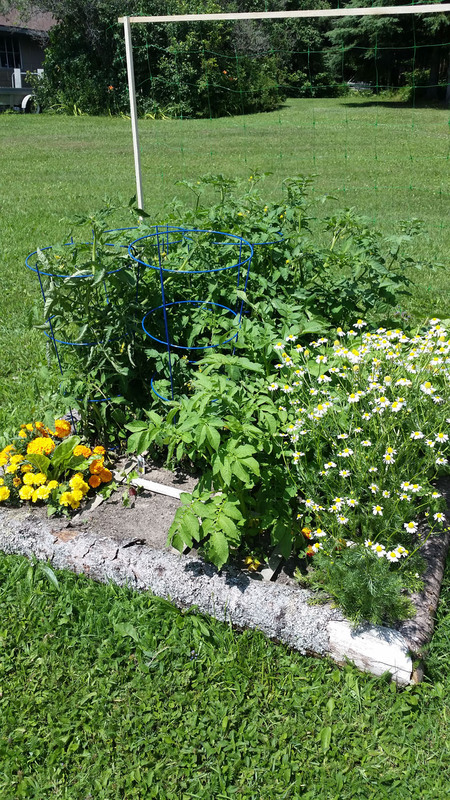 Last year Andrew and I planted a Square Foot Garden for the first time. We loved how easy it was to plant and how little maintenance it required throughout the growing season. This year we decided to keep with the square foot gardening and built two additional square foot gardens. 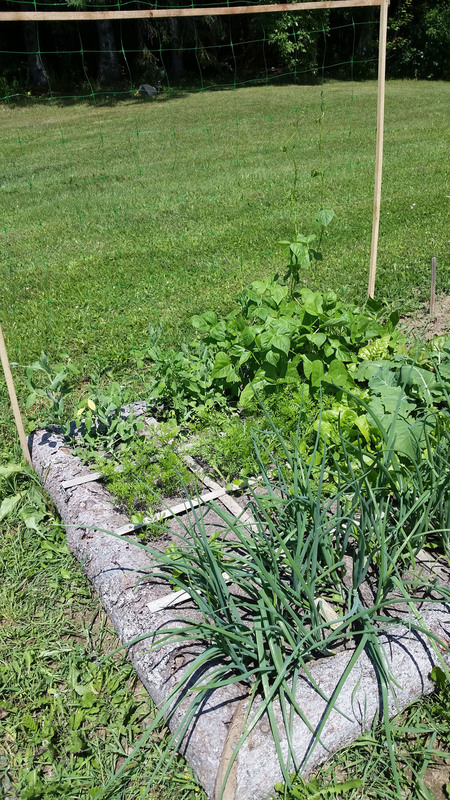 We learned a bit from last year about placement of different types of plants and how to organizing climbing plants in the square foot garden. One of our beds this year wasn’t planted in a grid format. Instead I put tomato plants and flowering kale in the corners of the bed with lettuce in between. It’s a bit more free flowing, less organized, and I just wanted to try something new. We also needed to build something new for our pole beans to grow on, the fencing we used for them to climb on last year couldn’t handle their weight and ended up breaking the frame. Andrew created some poles out of trees and built a teepee style frame that sits over top of the one bed. We also planted a new asparagus bed as the one we planted a couple of years ago wasn’t in an ideal location — it was too close to some of our rhubarb plants and to where Andrew piles snow in the winter. Changes and hopefully improvements. Little Miss also helped plant the garden this year. She loved copying me by poking holes in the dirt with her fingers. Andrew and Little Miss were also responsible for planting all of the sunflowers, she seemed to like dropping the seeds into the holes. 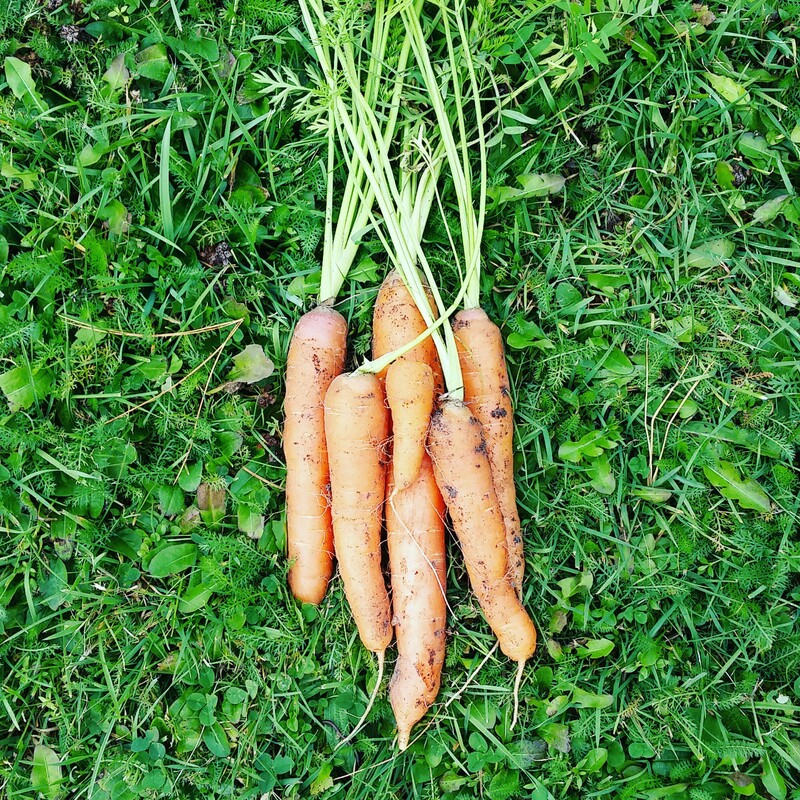 Bring on summer and fresh veggies! Oslicken Acres Garden, June 2016. 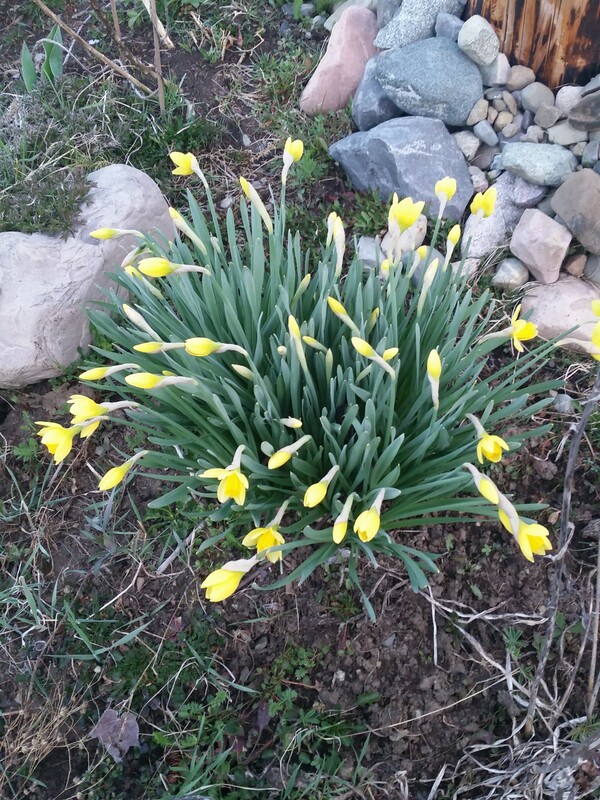 Spring flowers almost in bloom. Little Miss loves outside, and puddles, and running, and puppies. All of which are great things and I generally love all of them too – though we don’t have dogs so I’m not sure why she is currently so obsessed with puppies. With the changing of the season the gardens are starting to bloom, the flowerbeds need weeding, and there is a seemingly endless supply of outdoor projects. We’ve been spending lots of time outside working, playing, and enjoying the warmer weather. Doing yard work while watching an energetic toddler is a bit like trying to herd cats while wearing a blindfold. It’s tricky and success might be the fact that no one was injured. Little Miss is currently all about ‘helping’ so having her put stones in a buckets or make ‘art’ out of stones on the lawn worked well I was weeding. Or at least it worked for a little while until she ran away. Similarly, giving her a shovel to play with worked intermittently. And the whole experience made me realize why people have fenced in yards. Challenges aside it’s also been a delightful experience. Little Miss makes us slow down and appreciate our surroundings a little more. Walking to the back field involves multiple stops to look at trees, feel spruce needles, and pick up pine cones. And nothing beats hearing her say ‘Oooo’ or ‘Pretty’ repeatedly when she spots a flower or tree she likes. Her perspective has been eye opening and serves as a constant reminder of how lucky we are to have gardens, land, and time outside. Onward to warm days in the sun. 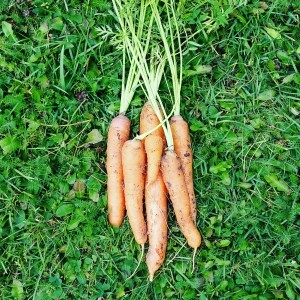 It’s been a busy fall with lots of activity in the veggie garden. For the first time in a number of years Andrew and I successful grew zucchini. Now we just need to figure out new ways to eat that tasty vegetable. And I’m sure there is more in the garden that we need to pick before a cold snap gets the plants. We’ve also dug our potatoes, onions, and garlic. I love root vegetables that store well over the winter months. Nothing beats having snow outside and making a delicious meal (maybe stew?) with home grown vegetables. As I mentioned earlier this was our first year growing garlic. It did fairly well, but I think the soil where we planted them could have used some love last year. As a result they aren’t huge bulbs — but they are still flavorful and full of goodness. It has been a learning experience, I hadn’t realized how much maintenance the garlic needs once it’s planted. I’m going to bring some down to Southern Ontario for family there next week. And we’ll hopefully plant this year’s fall garlic in the very near future. 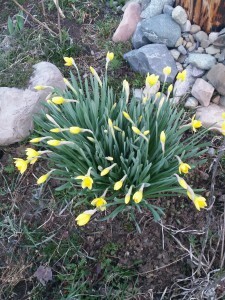 This year has included many gardening firsts at Oslicken Acres. One of those firsts included the planting of pole beans. In the past Andrew and I have planted both green and yellow bush beans. These have typically grown well and provided us with lots of tasty beans — some years so many beans that we’ve blanched and frozen beans to enjoy over the winter. This years we planted both bush and pole beans. Andrew built two vertical gardening trellis as part of our square foot gardens which have worked really well. 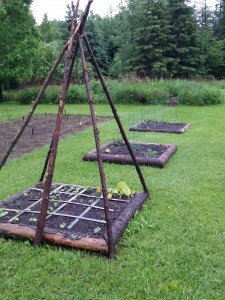 I loved watching the pole beans grow and slowly inch up the trellis. Ascetically pole beans are a beautiful plant. They are delicate climbers and the small flowers they grow are lovely. The bush beans in our garden were ready a couple of weeks ago and we’re just starting to enjoy the first tastes of pole beans. The timing worked out great. We’ve had lots of produce but not so much that any of it is going to waste. I have future plans for a tree sisters vertical garden – which will include pole beans. Andrew and I have also talked about other decorative trellises or arches covered in climbing veggies. Never ending construction projects for Andrew — or maybe just a trip to a garden centre. Our tomato plants are crowded this year. We put too many plants into too little space in the square foot garden. But despite these close living quarters the plants are producing tasty fruit. Andrew isn’t a huge fan of tomatoes. He doesn’t mind tomato products like pasta sauce and can tolerate small cooked bits of tomato. But it’s definitely not his food of choice. So even a moderate harvest is enough for us. Though I do like the years where there are enough tomatoes that I can freeze some and pull them out to make chili or sauce in the winter. I love garden fresh tomatoes. Tomatoes in season taste so much better than the bland tomatoes from the grocery store during the winter months. 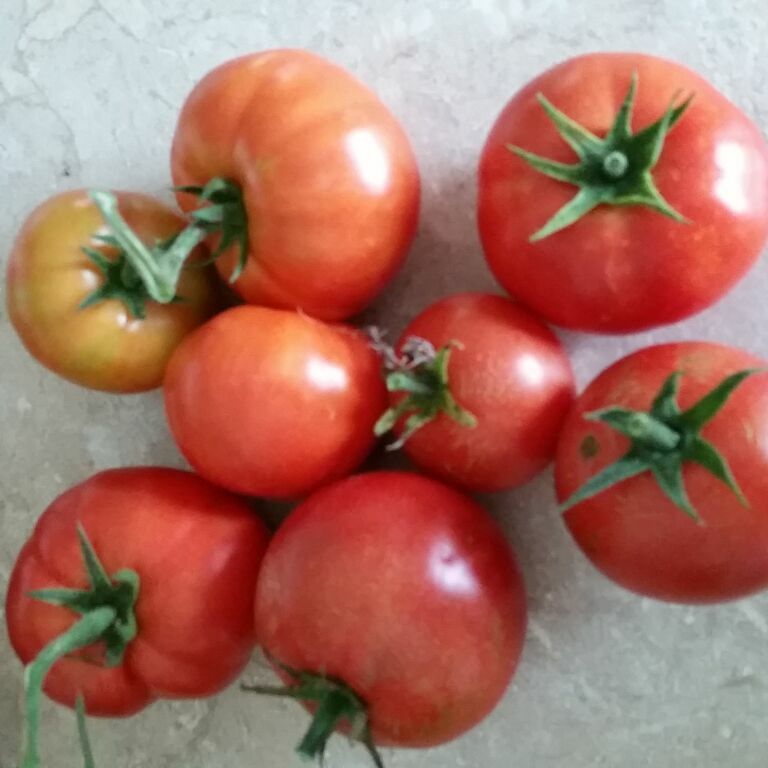 This year I purchased three tomato plants from a vendor at Mill Market. They turned into very healthy, thriving plants that have been doing well despite out error in how we planted them. Bring on the toasted tomato sandwiches. I have recently become moderately obsessed with our flower gardens. 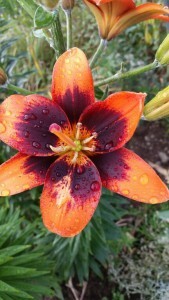 And Andrew can attest to my unexplained love of lilies. I’ve dragged him outside on more than one occasion to go look at lilies that have recently come into bloom in our garden. For the past few years our flowerbeds have included both yellow and orange day lilies. 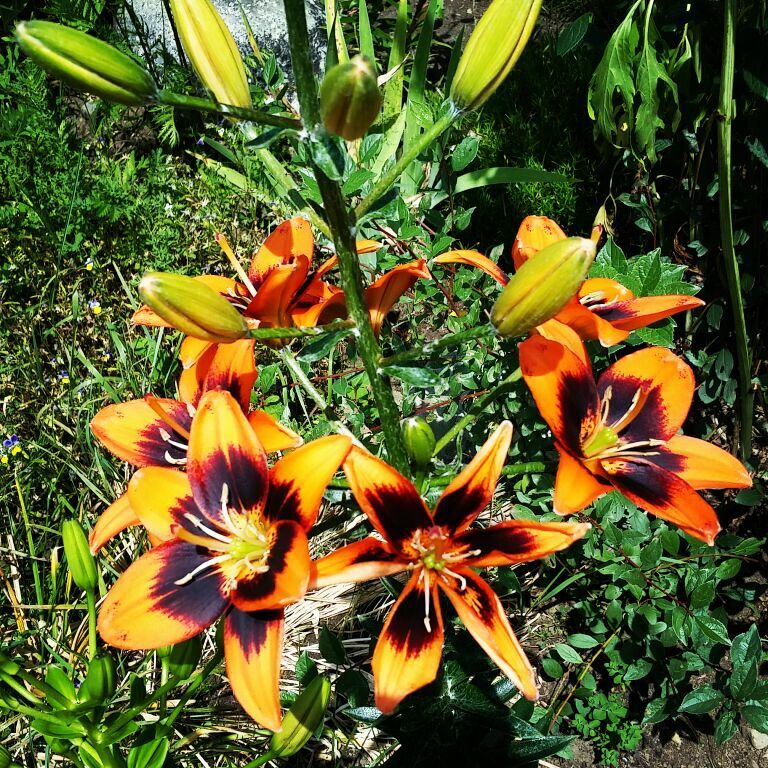 We also have a couple tiger lilies that were accidentally translated in a hosta plant from my parents. But I recently discovered Asiatic Lilies and have gone a bit crazy over them. Last year we planted Asiatic lilies and oriental hybrid lilies from bulbs last year so it’s been a bit of a surprise to see what they look like as they start to bloom. I love the colour and the number of blooms that come on a single plant. They also seem to require very minimal maintenance. A definite win in the flowerbeds at Oslicken Acres. As I mentioned earlier Andrew and I are trying our hands at Square Foot Gardening for the first time this year. When I last wrote we were thrilled with how quickly we were able to plant the garden. It’s now mid summer and our new gardens are thriving. We’ve already been treated to lettuce, radishes, marigolds, and chamomile in abundance and many of the other plants are thriving. The smaller garden is also making it much easier to stay on top of the weeds. Normally by this point in the gardening season the weeds are out numbering the plants and we’re struggling to keep the traditional style garden under control. Andrew and I have found that the smaller gardens are much easier to stay on top of and that weeding is no longer as time consuming. 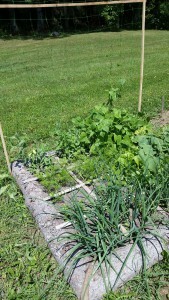 We were using this year as a trial of the square foot garden method and built two beds to start. Based on how well things are going we are considering building a couple more beds for next year — more construction projects on Andrew’s never ending list. One thing we will do differently next year is the number of tomato plants per square foot. 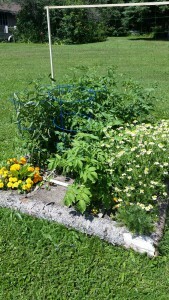 As you’ll notice by the picture below our tomato plants are huge and are taking over the one bed. We’ll definitely give each plant more space in the future.